Only the trivia gurus at the Bathroom Readers’ Institute could take a dry subject like history and make it so much fun! Uncle John’s Bathroom Reader Plunges into History will open your eyes to ages past and entertain you for ages to come. 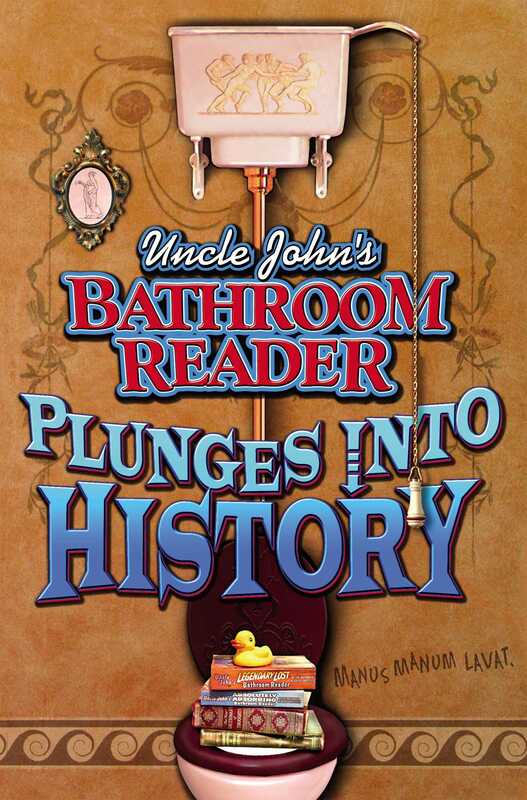 Whether you’re a history buff, or you just like reading great stories, you’ll see the past in a whole new light after reading Uncle John’s Bathroom Reader Plunges into History. Uncle John uncovers the truth behind some of history’s most persistent myths, flushes out information you were never taught in school, and gives history fans something they can really digest. Since 1987, the Bathroom Readers’ Institute has led the movement to stand up for those who sit down and read in the bathroom (and everywhere else for that matter). With more than 12 million books in print, the Uncle John’s Bathroom Reader series is the longest-running, most popular series of its kind in the world. JoAnn Padgett has BAs in English and History from Virginia Polytechnic Institute. She’s worked on newspapers, films/video, training programs, textbooks, and acquisition of fiction/nonfiction while developing products for such diverse companies as Army Times Publishing, Time-Life Books, McGraw-Hill, Harcourt Brace, and AMS. Currently, she is an editorial director for Readerlink, the nation’s largest book distributor.